Courtesy of Debra Johnson Realty Group, Abbey Eileen Horne. Located in sought after Ides Hill Commons, this 2016 end-unit town home with 1 car garage shines brighter than brand new! With all the finishing touches beyond the price point, there’s nothing to do here but move right in. Step inside the gorgeous eat-in kitchen complete with granite counters, ceramic back splash, stainless steel appliances, and fabulous kitchen island. Walk through the kitchen into the spacious living room with gleaming hardwood floors, cozy gas fireplace and triple windows that provide tons of natural light. Upstairs you’ll find 3 generously sized bedrooms including the master with full bath and walk in closet. 2nd floor laundry is an extra bonus! Additional features include custom plantation shutters throughout, mosaic painted flooring in garage and basement, 2 zone central A/C & heat, tons of closet/storage space, and so much more. Conveniently located close to route 95, train stations and NESV. This is the one you’ve been waiting for…come and see today! Disclosures: Condo Association Does Not Qualify For Fha According To Property Management. 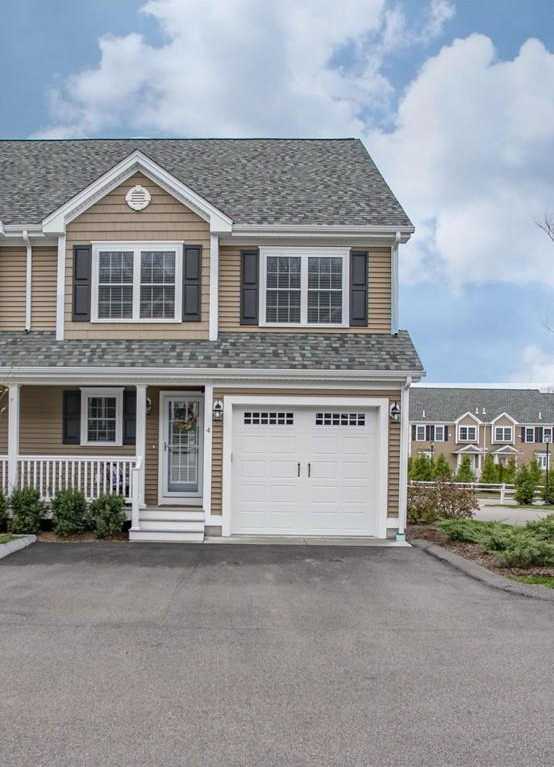 Please, send me more information on this property: MLS# 72451636 – $369,900 – 1405 Commerce Way Unit 4, Attleboro, MA 02703. I would like to schedule a showing appointment for this property: MLS# 72451636 – $369,900 – 1405 Commerce Way Unit 4, Attleboro, MA 02703.